Plastic pallets and plastic pallet boxes - G Force supply a range of industrial quality plastic pallets and plastic pallet boxes ideal for handling, storing and transporting heavy or bulky loads. Our range of plastic pallets includes nestable plastic pallets, rackable plastic pallets and Euro plastic pallets manufactured from food grade and recylced materials. Our plastic pallet box range includes plastic bulk boxes, collapsible plastic pallet boxes and Dolav bins in a variety of sizes. We supply a range of closed deck plastic pallets that are easy to clean and hygienic. The pallet became common place within industrial environments around the time of the Second World War and have been used ever since. Consisting of a strong stable platform on which goods, materials and equipment can be loaded and then manoeuvred using a pallet truck or set of forks the pallet offers an ideal storage and handling solution. The range of pallets that G-Force Europe has to offer mainly consists of plastic pallets, designed to offer long lasting and reliable pieces of equipment that also prove to be hygienic, easy to clean and effortless to maintain. Our range of plastic pallets includes many food grade pallets that are ideal for both the food industry as well as within the pharmaceutical and healthcare industries. Closed deck pallets provide a very hygienic and easy to clean solution as they can be effortlessly wiped or hosed down and incorporate no crevices or dirt traps for bacteria to reside. Open deck plastic pallets offer a level of ventilation and airflow capabilities that are often used within the food industry, providing drainage attributes as well as allowing air to efficiently flow within cold rooms, freezers and blast chillers. Plastic pallets also allow for colour coding, helping you to adhere to certain stipulations regarding food safety or hygiene. 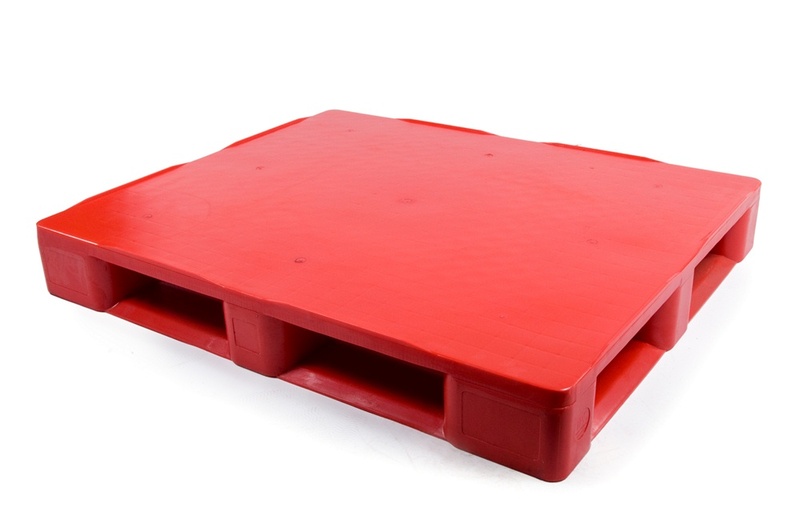 Our range of plastic pallets include a variety of nestable pallets, which nest on top of one another when not in use and are often used for shipping and distribution as they save on large amounts of space. Rackable pallets are ideal for use within pallet racking and are commonly used within warehousing, retail distribution and industrial storage applications. A selection of our heavy duty, plastic, rackable pallets have full perimeter bases and are perfect for handling heavy loads in racking. A pallet box is essentially a pallet with 4 walls, designed to contain loose items. Our range of plastic pallet boxes includes a number of different sizes and designs to offer a wide range of solutions to suit many applications. G-Force Europe offer a selection of solid and vented plastic bulk boxes that are perfect for many different industries and environments. Our cost effective BP1210GR pallet boxes are a cost-effective solution for industrial bulk handling and storage and are manufactured from food grade plastic. Dolav bins are perfectly designed for handling and tipping on sets of forks and our collapsible pallet boxes provide a large storage solution that can save on space when not in use. Including a number of Euro sized pallet boxes as well as standard 1200 x 1000mm pallet containers the range helps to provide a number of solutions to meet your individual requirements. Colour coded, food grade, plastic pallet boxes such as the Dolav bins are ideal for handling and storing food produce and ingredients. Used throughout the food manufacturing and food processing, agriculture and aquaculture, bakery, dairy and farming industries the heavy duty bulk boxes are available in a range of colours with solid or perforated sides to allow for airflow and drainage. Plastic drop-on lids help to cover and protect the contents of the pallet boxes and their moulded in runners help them to be placed in racking and reinforced interlocking pegs allow them to be stacked on top of each other safely and securely. Collapsible plastic pallet boxes are an ideal solution for distribution applications. The bulk boxes are strong and durable, providing a reliable large plastic container for containing goods, materials and equipment. When not in use, stored within a warehouse or on return transport journeys, the collapsible pallet boxes fold down to a fraction of their original size and save on huge amounts of space. Geo pallet boxes are specifically designed for small applications and environments where space is at a premium. Available in several different sizes with solid or vented walls the Geo boxes are ideal for many light duty industrial applications.